Alright my friend… so you’ve got your hands on the Cake and Cookie Planner huh? Gimme some high fivessss 🙌 cause you just took some major steps in making your life just a little mo’ better. Yes, mo’ better. More organized, more professional, more focused, more driven, more clarity… mmm your future is bright my friend. But, now you might be wondering… what else do I need?! Or better yet, what else do I want? 😅 Cause let's be frank, you don’t necessarly NEED all of the things I’m about to share with you. Some are super helpful and functional and then some are just down right pretty. We like pretty things. We’re creative people...kinda goes with the territory. And because we’re creative people -- pretty things can inspire us! And if being inspired to stay more organized is a thing... count me in. I'm coming out of the gate with a big one! BRANDING. Branding, my friend, is so very very important. I can't stress this enough. One simple way to do this? 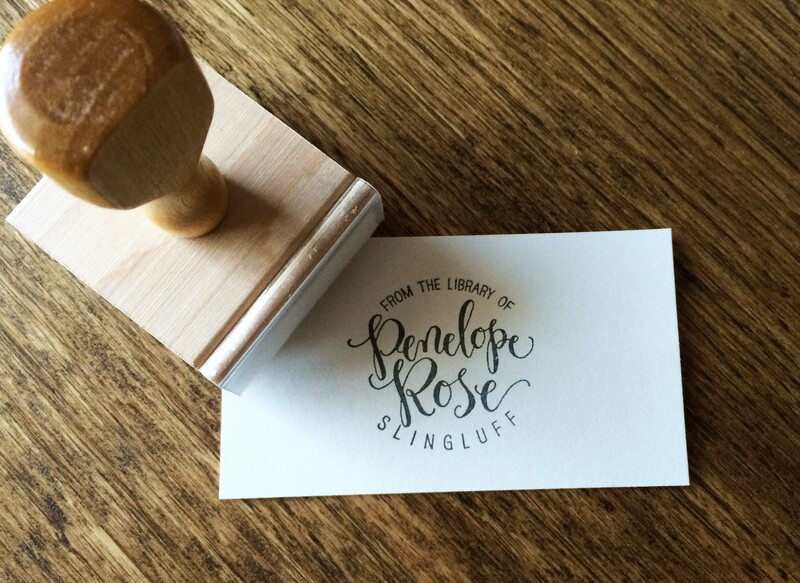 Get your logo/business name created in a custom stamp! Then I use it to brand the consultation sheets for my customers, just stamp right there at the bottom right hand corner and you're good to go! You can't have your customers forgetting who their consult sheet is from...that'd be just plain tragic. I've also been known to use my stamp on tags that I put on my to-go tasting packages, stamping hand written thank you notes, really you can put your stamp on everything (literally). You may remember these from the late 90s? Not gonna lie, they didn't do the trick for me back then. BUT they’re kinda better than ever now...very much improved. Especially necessary for a planner! I gotta tell you one of the things that held me back from starting to write in a planner was the feeling of “screwing it up” by the permanency of ink. I mean, it was so pretty.. the last thing I wanted was a bunch of scribbles because I needed to change something. So silly right? But, with erasable pens… you kinda don’t have to worry about that. Can we say FREEDOM? When we're planning, we're constantly changing things up, we need to be able to erase! And I gotta say, pencils just don’t do it for me. Things seem to fall flat on a page with pencil. Then I found these, love these. Plus I LOVE the fact that they come in all these different colors because I like me some color coding (and pretty, I like pretty)! Raise your hand if you may have whispered under your breath at one point “Avalon, why 7 holes! Whyyyyyy.” *inches away slowly* We did 7 holes for a few reasons, be we don't need to get into that right now. Fact is, there are 7 holes. So thus, we need a 7-hole puncher! Not super easy to find, but I bought this one and it works beautifully! So for pages you want to add to the binder, you can simply punch them yourself. So punch and place to you’re heart’s desire. I don't carry many accessories here in this shop because I'm small and can't really house "all the things"... but this one, this one was special to my heart. There is something about a roll-up pencil case (or tool case) that just makes my heart SING. Yet, it is SO hard to find cute ones. I searched long and hard for one that I really liked and for a long time I came up short. Until I found this BEAUTY. I loved it so much that I bought them for my store! Why roll up? Ever reached into a pencil bag and search and search and never find the item you're looking for? Not to mention it's dirty from pens and pencils that have marked up the inside (and now the ink is on your hands!). Not my favorite moments. With the roll up, you just unroll it and everything is neatly displayed in it's own little pocket *sigh*. It's delightful. I use this for not only my sketching art supplies but I have two more for my cake modeling tools. Yes. Pretty pretty paperclips. I'm not gonna lie, when we started the Rose Gold line this year I was like, "ROSE GOLD ALL THE THINGS"... which of course included my paperclips. And with all the things that need to be bunched together, like receipts and order details... I found these! When it comes to the week you are working on orders, I find it super helpful for each order to have it's own clipboard. These clipboard can then hang on a wall in order of time/date of when they are due. So, I'll open up my planner, pop my binder open and pull out my sketches (done with the Cake Sketching Templates of course!) and my consultation forms for each client... and up on the wall they go! I'll then pair anything else, like color swatches that may go with them onto the clipboard. That way everything is right in front of me and it's really hard to "forget" an order (oh, it's happened!). I also like this stand up one for putting on my workspace with the order I'm working on, displaying the sketch for me so I don't miss a thing! Who else's desk is toppling over with stick notes? If you wanna remember it... put it on a sticky note and put it RIGHT on your forehead, I mean, computer screen. But seriously, these little guys are multi-functional. What I've found really nice is using them as tabs (or bookmarks) on my consultation pages within my planner with my customer's name on them! They peek out of the edge just like a tab. That way, when I have a customer call or email and I need to update something --- boom, I can easily find and update it. So I'll write their last name on the edge of the sticky, place that where it overlaps the edge of the paper just a little and then on the rest of the sticky note I'll add important info like due date and location for quick reference. The washi tape world, FUN, yet beware as it can be slightly addictive. In other words, you will need a new, large organized JUST for your washi if you don't wachi out (ahahah I'm corny). But if you have the strength to pace yourself on your new washi tape addiction, this is a great way for you to really customize your planner to your unique style! Also, similar to how we use our Cake Planner stickers, you can use washi tape to bring attention to an important date or day. This.... well, this is just cute. And acutally pretty functional. It's got that Rose Gold that I wanna see AND it's adjustable in so many directions and collapses down small. Basically these are for all those late nights working away on finalizing the details and sketches. For me, there is never enough desk space. Never. So in order to obtain more a hanging file organizer is just the what the doctor ordered. Gets all the "other things" up and out of the way until I'm ready to deal with them allowing my desk and mind clear for more important things. Ok, I just couldn't help myself... BUT, what if you wanted to be just a little "extra"? Well, imagine sealing your sketching envelope (more coming on that later!) with a wax seal...! Custom wax seal with YOUR logo. Talk about portraying TOP SHELF CLASS. Hope you found some of these suggestions helpful! Further more, I created a little shop on area on Amazon where I continue to put cute office/planner accessories when I find them! * * Some of the links featured on this page are affiliate links, which simply means at absolutely no extra cost to you, I receive a small percent for suggesting the items.